Batman, Superman and the entire roster of DC's iconic characters have a new place to hang up their capes and cowls. McFarlane Toys, an award-winning toy company, announced today they have entered into a three-year global licensing agreement with Warner Bros. Consumer Products, on behalf of DC, to release DC Multiverse collector figures in both mass and specialty retail spaces. 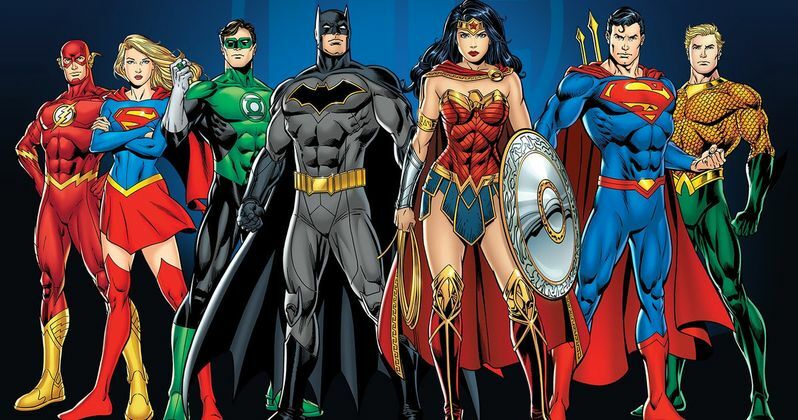 Beginning early 2020, McFarlane Toys will bring dozens of the iconic DC comic books, video games and feature films' near-endless stable of characters to life with 6" - 12" ultra-posable action figures, corresponding accessories and vehicles branded DC Multiverse. Said Todd McFarlane, Owner and CEO of McFarlane Toys. "This partnership with Warner Bros. Consumer Products and DC will be great fun for my company, and a chance to deliver products that millions of fans of the DC brand have been asking for. The DC universe has captivated the world and to be able to play in that 'sandbox' now makes me feel like a kid all over again. I can't wait to see what we can accomplish together." The DC Multiverse collector figures and related toys will be available at major retail locations beginning in 2020. Fans of both McFarlane Toys and DC can check www.mcfarlane.com and the McFarlane Toys social media channels for updates and news. Grammy-and Emmy-winning producer/director Todd McFarlane, creator of Spawn, is the creative force behind McFarlane Toys, one of America's top action figure manufacturers. McFarlane Toys has become an industry leader, redefining the standards within the action figure market. Warner Bros. Consumer Products (WBCP), a Warner Bros. Entertainment Company, extends the Studio's powerful portfolio of entertainment brands and franchises into the lives of fans around the world. WBCP partners with best-in-class licensees globally on an award-winning range of toys, fashion, home décor, and publishing inspired by franchises and properties such as DC, the Wizarding World, Looney Tunes and Hanna-Barbera. The division's successful global themed entertainment business includes groundbreaking experiences such as The Wizarding World of Harry Potter and Warner Bros. World Abu Dhabi. With innovative global licensing and merchandising programs, retail initiatives, promotional partnerships and themed experiences, WBCP is one of the leading licensing and retail merchandising organizations in the world.